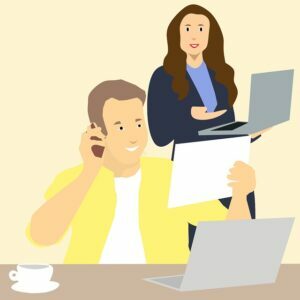 If you are short staffed as it is, and you take one call, that is followed quickly by another one, and even as your staff is handling those two, due to which the lines are busy, you might miss out on another couple of potential customers. Take for example, a pizza shop. The more customers you have, the harder it is to service them. If your phone lines are busy, the will just simply call a competitor and order from them. After all hunger does not know any boundaries, right? And this is not even counting all those extensive voicemails that you must contend with, during a hectic workday. After all, as the owner of a small business, you understand that your customers are indeed the very lifeblood of your business. But this certainly does not mean that you give your time and attention to them, at the cost of neglecting the other areas of your business that make it possible for you to provide these individuals with the amazing products and services, they have come to expect from you. But a call answering service will make sure that you can concentrate on running your business and they will handle your customers for you. You are only a human being, unless that is, that you are a cyborg. But even then, you will still (mostly) be human and is hard for a lone person to handle just about all of the calls that seem to stream in on a minute to minute basis. If you have this problem and really want to improve the productivity of your workplace, then of course it would make a whole lot of sense to hire a true-blue professional telephone answering service that would handle all your calls for you, daily. Think of it this way, if your staff are busy working on a project, and you are in meeting with prospective clients, who would take care of the ringing phone, even though each call would possibly be a new client. Hire a call answering service for a small business will fit the bill and it might be just what you need to grow your business. Are You Losing Business Because of Voicemail?